A hardback journal/notebook, covered in a 'soft feel' PU leather. 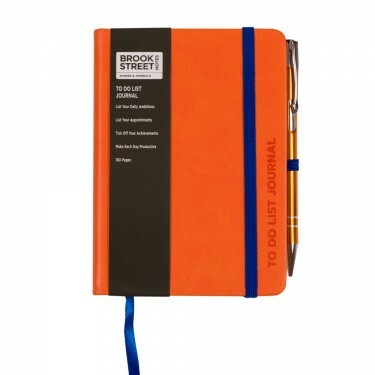 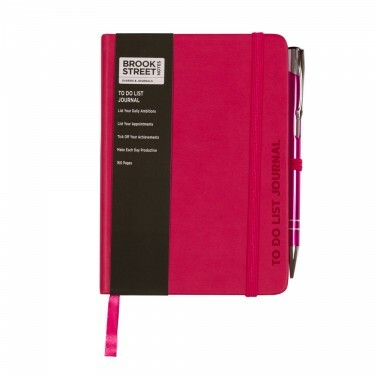 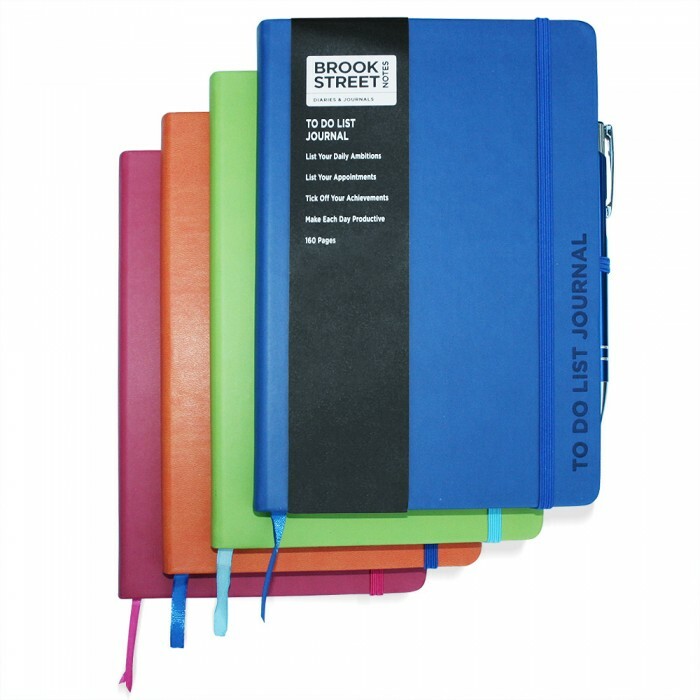 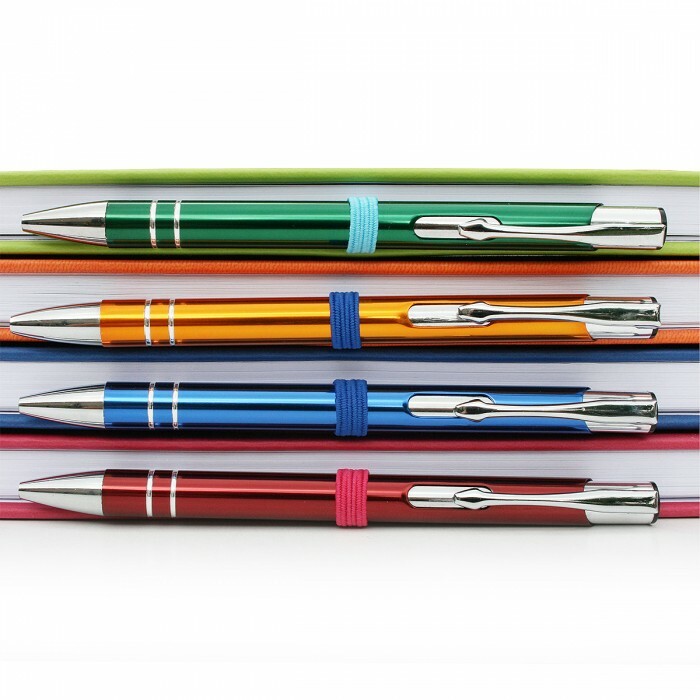 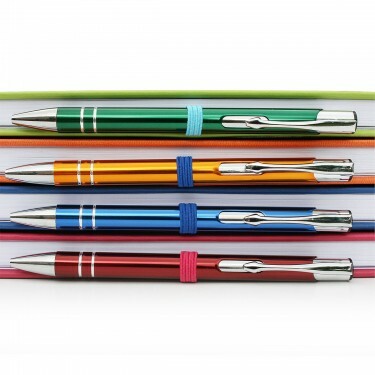 Available in four vivid colour options (deep blue, lime green, fuchsia pink and bright orange) and in two sizes (A5 & A6). 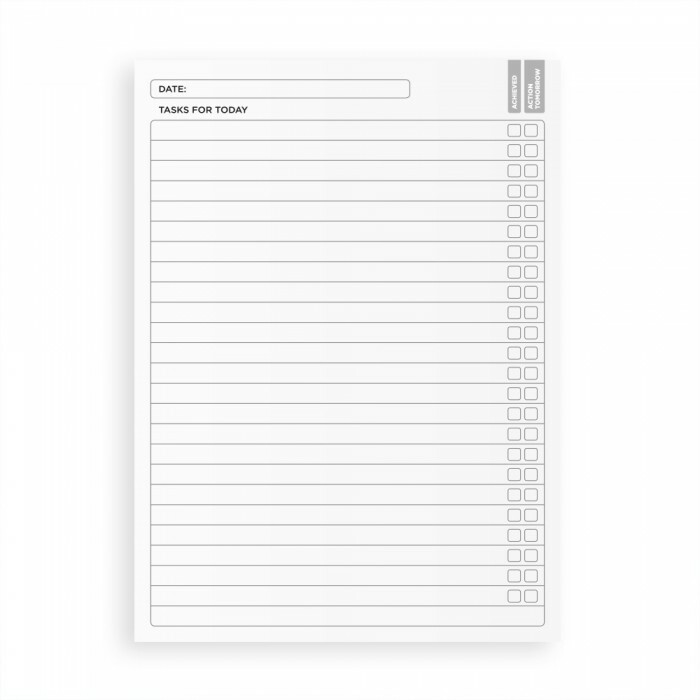 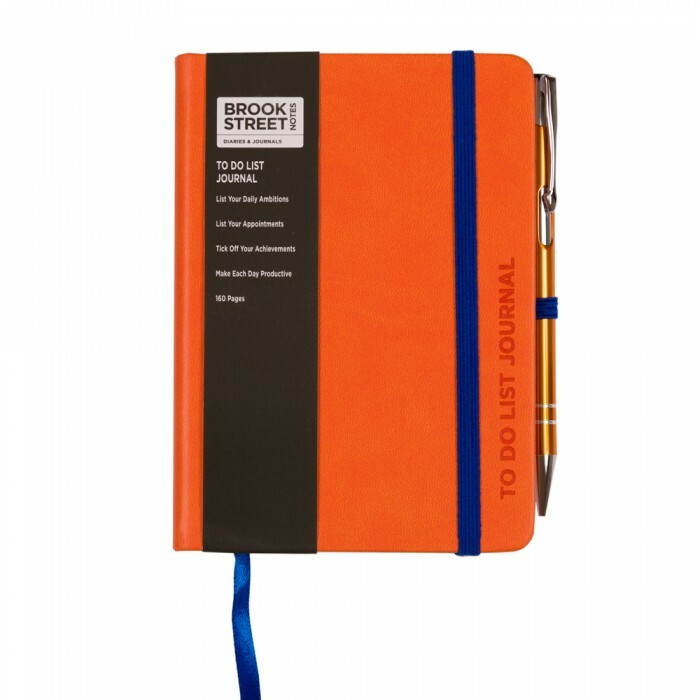 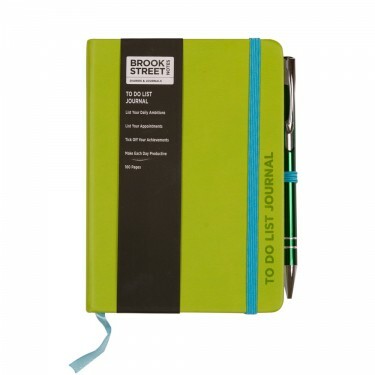 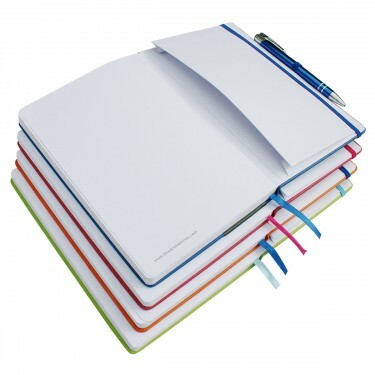 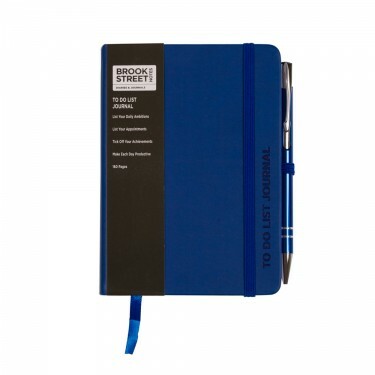 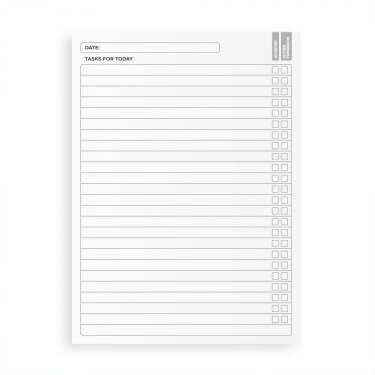 With 160 white, lined pages, our notebook/journal specification includes expandable rear inside pocket, ribbon marker, elasticated security close and pen holder with matching colour co-ordinated metallic ballpoint pen.